With its first foray into women’s cycling kit, London-based brand Huez has quickly caught on to the virtues of quick-release bib shorts. A seamless brace connects the back and front and secures comfortably at the waist with an easy buckle, so you can click out with swanlike grace. Those with flexible arms may be able to do the bibs back up without removing any layers. If not, you can simply slip one arm out and hook the brace back over your head. As an added bonus, the Bia Bibs include a little 'radio pocket' for pro cyclists (also known as the 'Jelly Baby stash' to non-pros). The Aeron bibs are lighter on the wallet than most, yet still deliver a comfortable ride. It's the awesomely faff-free toilet technique that really makes them stand out from the crowd, though, with the super-simple design meaning you can whip them down and back up again quicker than you can shout "dog walker!" The secret to that supreme speed? A halter-neck that is made of a fabric that stretches far enough over your derrière to enable you to spend a penny without any clips or delayering. Simply pull down and away you go! Just like the Huez bibs, a front-fastening magnetic clip means you can unclip and whip the strap over your head with a simple flick. You might need to de-robe an arm to shimmy the strap back in place afterwards, but it’s still a lot quicker than traditional over-the-shoulder bibs. These shorts came up a little tight, so I would consider going up a size, but for half the price of many other brands, they make a good all-round purchase with a particularly comfy chamois pad. With a bright, bold print, Specialized’s shorts look cracking on, the only downside being that the extra design detail could make them easier to spot when you go for a wild one. The quick release is enabled with a magnetic clip that secures a central brace at the back. This can be a bit fiddly at first, but once you get the knack you’ll shave off valuable seconds in the privy. On the road, they're cool and comfortable, making them an excellent summer ride choice. The Assos Laalalai shorts sit on your body like a second skin to leave you feeling amazingly comfortable in the saddle. When the contents of your bidon start to journey south, a magnetic clip at the front of the central brace can be whipped over the head to ensure a quick transition in the ladies. You’ll almost certainly need to remove at least one arm of your jersey to get the strap back over your head, but those seconds are worth sparing in return for this level of comfort and performance. Thanks to the price point and incredible time-slashing halter design, a notable mention has to go to the dhb Aeron Halterneck Bib Shorts. 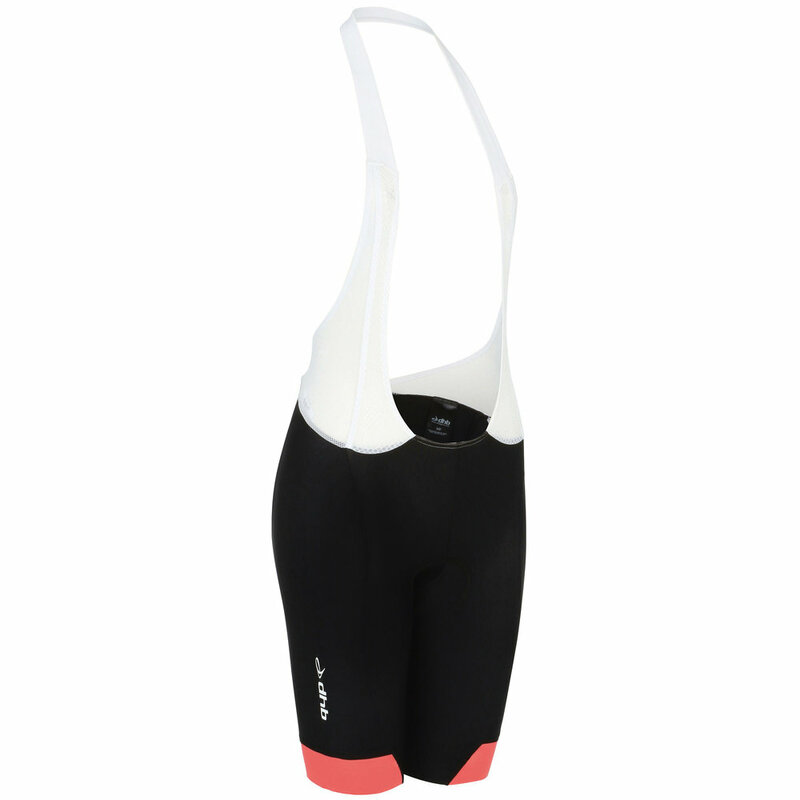 But it's the Assos Laalalai Bib Shorts that made the biggest impression. At £160, they’re certainly an investment purchase, but if you plan on spending a lot of time in the saddle, they'll keep you supremely comfortable and save you much frustration and time on toilet stops.